A few months back I mentioned starting a group for 18th century enthusiasts. Here we are! Well a few of us. 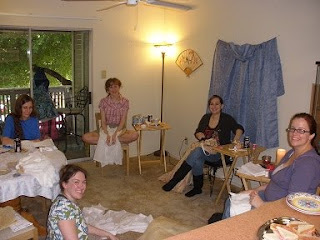 I decided to hold a sewing circle for whom ever could attend. Our group is La Bonne Compagnie. And what great company it was! Thank you Ladies for attending.